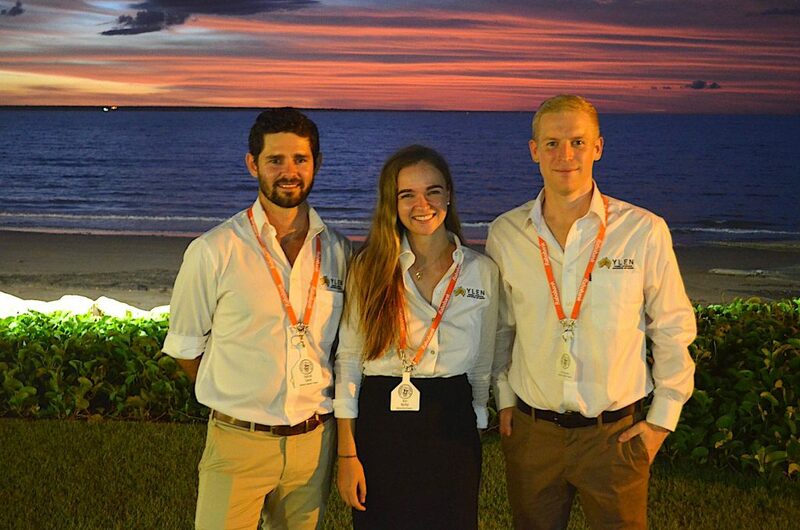 THEY’RE young, driven and believe deeply in the future of the Australian livestock export industry and the importance of the role they play exporting Australian livestock handling and animal welfare standards to the world. Wellard Rural Exports’ Kari Moffat and Halleen Australasian Livestock Traders’ John Cunnington and Patrick Coole spend time in their jobs in overseas markets improving the skills of workers who receive Australian livestock, skills that are then applied to the handling of domestic cattle in the same countries. At a time when their industry is facing mounting public pressure on animal welfare grounds, the young exporters have no doubts that removing livestock exports would be a regressive step for animal welfare standards in the many countries in which Australian exporters work. “It is hard to imagine another industry that is doing more for animal welfare globally than this industry,” Mr Cunnington said. “I get extremely passionate about the industry when I see the in-market staff that we have trained and the effective change that is being made, both culturally and long term to animal welfare. drive genuine cultural change around animal handling techniques in foreign markets. “In terms of an animal welfare advocacy movement, the live export activities in market blow anyone else out of the water,” he said. Wellard’s Kari Moffat said the livestock export industry presented unparalleded opportunities for young people that would be difficult to find elsewhere. “I don’t think there’s many industries that allow you to travel around the world, especially at a young age,” she said. “I started on ships when I was 18 and travelled to five different countries in the first two years. YLEN directors Patrick Coole, Kari Moffat and John Cunnington with NTCA Future Leaders executive office Alison Dakin at the YLEN launch event in Darwin. When the trio identified a need for specific professional development skills for young people in their industry and found it hard to find exactly what they were looking for, and also found others wanted similar training, they took a proactive approach. They have since created the Young Livestock Exporters Network (YLEN), which was launched at an event preceding the Northern Territory Cattlemen’s Association conference in Darwin last Thursday night. The network has been created to give young people (up to the age of 35) reliant on the livestock export industry – including live exporters, producers, agents, stockmen and women, depot staff, transporters, veterinarians and supply chain employees, both in Australia and destination markets – access to relevant professional development opportunities as well as a networking channel for people from throughout the industry. An initial call for members generated 80 responses, indicating the strong level of demand for the tailored development opportunities the YLEN will provide. Mr Cunnington, the inaugural YLEN chair who also chairs the WA Live Exporters Association and sits on the Australian Livestock Exporters Council, said the network is about empowering the future generation with the necessary skills to represent their industry and to become future leaders . “We wanted to create a network that is inclusive so people along the large and complex supply chain are interacting with each other, are talking and working towards the same goal,” he said. “This is a group where young people can come together, leave their corporate hats at the door and work collaboratively to better themselves. YLEN will be conducting its first professional development event for members on April 17 in Perth, which will include sessions with corporate governance and communication experts. Further workshops, seminars and webinars are planned for later in the year. Professional Development is the corner stone of any industry. I congratulate this young group to see the need of the future sustainability of our Beef Industry and create a platform for future generations to have an informed voice and work collaboratively in a most important food chain.